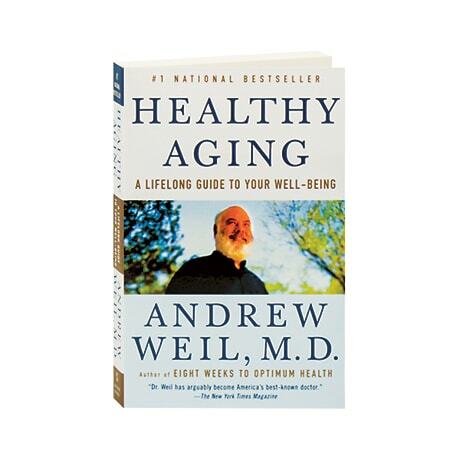 Informative, practical, and uplifting, Healthy Aging is filled with the engaging candor and common sense that have made Andrew Weil one of our most trusted sources on healthy living. Here, using a combination of traditional and nontraditional approaches to good health, Dr. Weil gives us a guide to the myriad things we can do to keep our bodies, minds, and spirits in excellent working order. Here Weil offers an anti-inflammatory diet; separates myth from fact about vitamins, herbs, hormones, anti-aging "medicines," and other would-be elixirs of life extension; explains how to master exercise, breathing, and stress-management techniques; and helps us to understand the science behind the aging process.